A lovely pattern for girls who love ballet! It is the perfect size to store your makeup stuff. 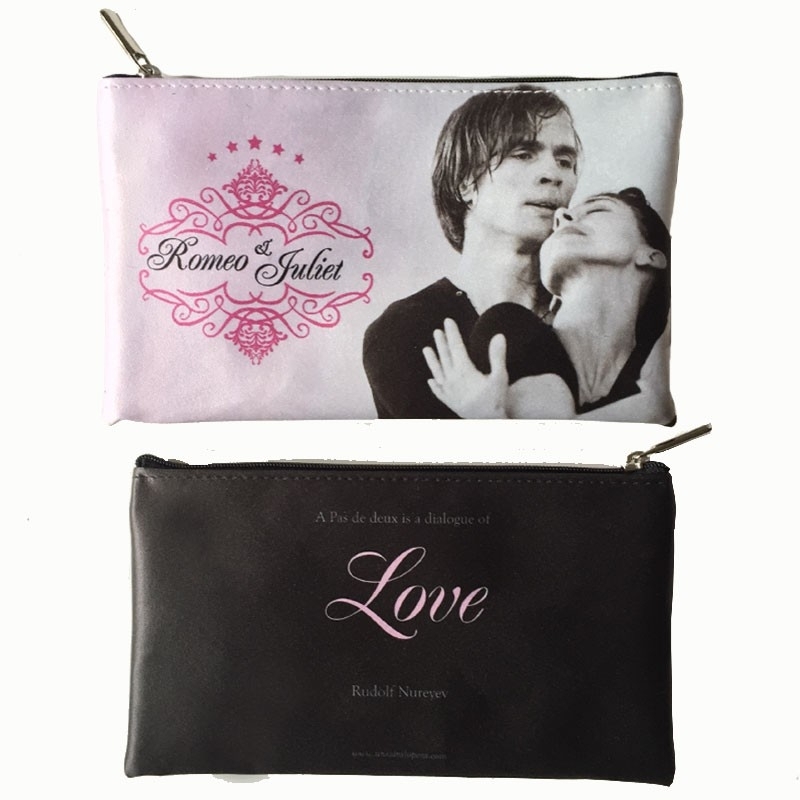 Featuring Rudolf Nureyev and Margot Fonteyn in the romantic ballet "Roméo and Juliet" on one side and Nureyev's quote on the other side. 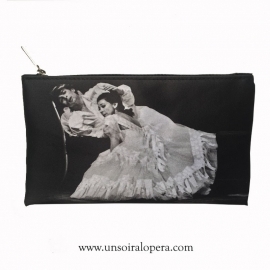 Great gift idea for girls who love classical dance and fashion. This Pencil Case is the perfect size for pencils, pens, markers, hair brushes, make-up, and more! Quote printed on the back : "A pas de deux is a dialogue of love"
Rudolf Nureyev's famous quote : " A pas de deux is a dialogue of Love" so inspiring for young ballerinas and ballet lovers! The first performance of MacMillan’s Romeo and Juliet on February 9th, 1965 was applauded by the audience for 40 minutes!